I’m bringing my green smoothies to a new level! 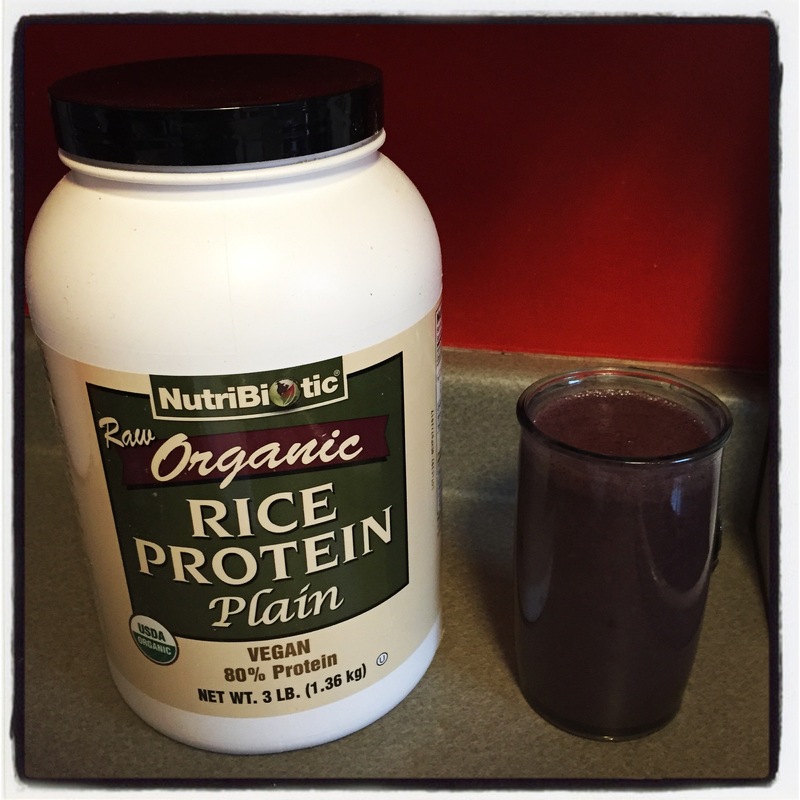 I’m very excited about my brown rice protein! Free from allergens, easy to digest, vegan, and totally healthy. 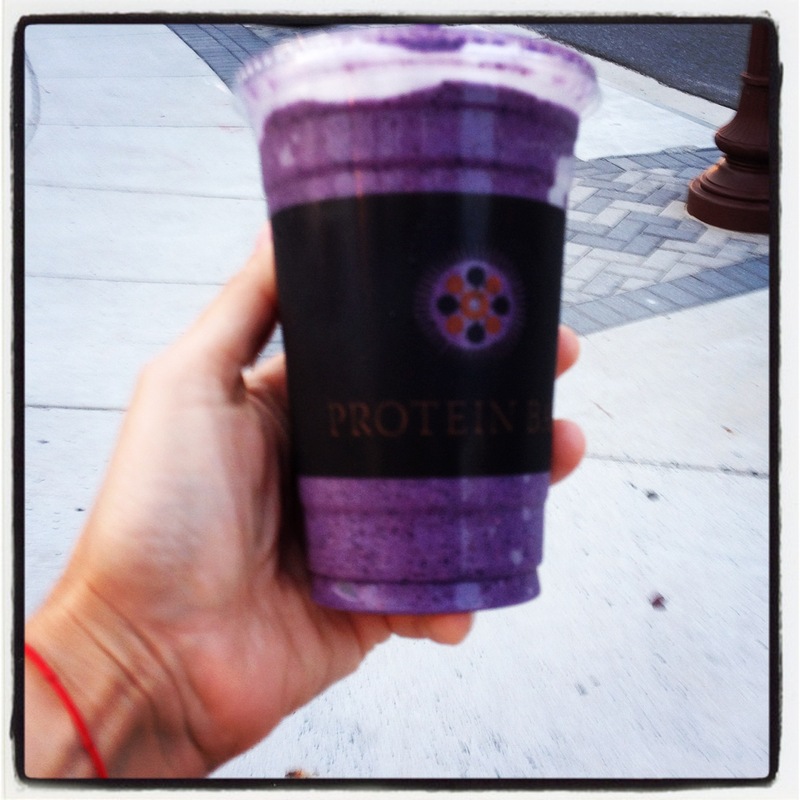 I have to admit it’s not the most delicious thing I’ve ever had… I made a smoothie with blueberries, mixed greens, and rice protein. It was… Okay. I’m sure it would be easy to make it more delicious if I wanted to add sweetener or more fruit. But for now I’ll stick with this and try to acquire a taste!! I’ll tweak it a bit. It definitely felt chocked full of healthy goodness!! Another day in DC. I finally checked out another place to eat that my friends recommended called the Protein Bar. I LOVE this place!! Next time if I go I’ll have to make sure it’s during their “happy hour” time, when their 20 ounce smoothies are half price. There smoothies are awesome. They have a variety of different protein powder options including soy, egg, or whey, in vanilla, or chocolate, and then tons of add ins, and different kinds of milk. I got the PB & J. It had peanut butter, frozen strawberries, and a bunch of frozen blueberries. I got the vanilla soy protein and some almond milk as a base. I skipped the agave nectar, thinking that would make it taste too sweet. It was SO GOOD. And beautiful : ) I’m excited to make this at home! !